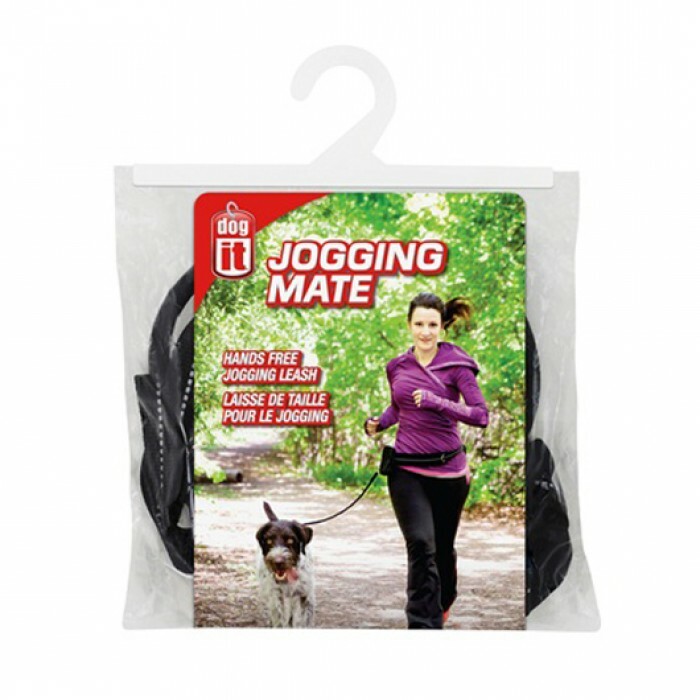 Dogit Jogging Mate is a practical hands-free jogging belt with leash that makes running with your dog so much easier and convenient. 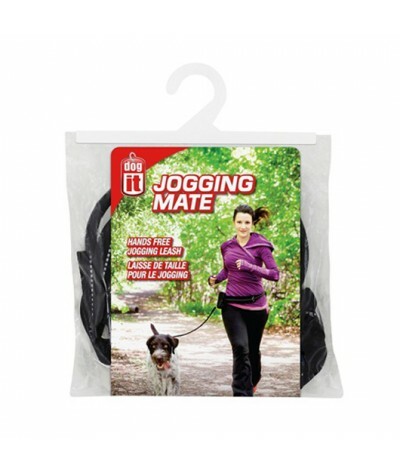 With Dogit Jogging Mate, you don't have to hold your dog's leash-it does it for you! Simply strap the belt around your waist, attach the leash to your dog's collar, and off you go on your run. The leash is made of strong yet flexible bungee cord, which adapts to your dog's pulling force. It has swivel bolt snap hooks at both ends to ensure it securely attaches to the belt. The belt is padded and adjustable so that it fits comfortably and snugly around your waist. It has two D-rings that allow you to attach the dog leash on your right or left hand side. It also has a carabiner to clip on accessories such as a waste bag dispenser (sold separately). The belt has a reflective trim to help with night-time visibility and also comes with a cell phone pouch.